4004 ft (1220 m) . 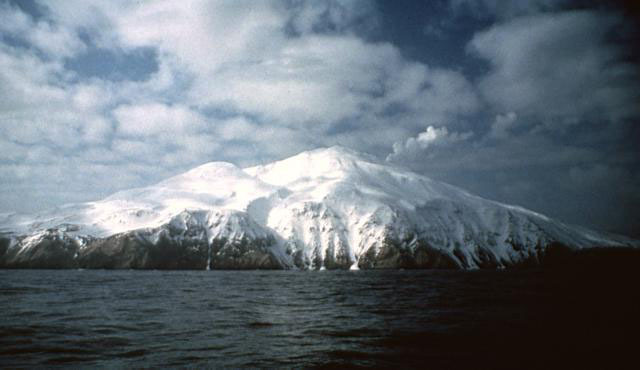 Kiska is the westernmost active volcano in the Aleutian chain, a small stratovolcano located at the northeastern tip of Kiska Island. The island has one of the finest harbors in the Aleutians, and it was occupied by Japanese forces for over a year during World War II. Many artifacts from the era remain both on land and in the harbor, as the island is now uninhabited and has been declared a National Historic Landmark. 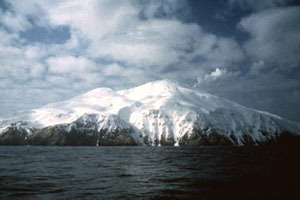 As for the volcano, it is simple climb from the south side (although it is ringed by cliffs on the other three sides) and should provide a good ski ascent and descent if conditions cooperate during the spring or early summer. The volcano has had minor eruptions every few decades throughout the 20th century, and fumaroles are still active on the upper slopes near the crater. 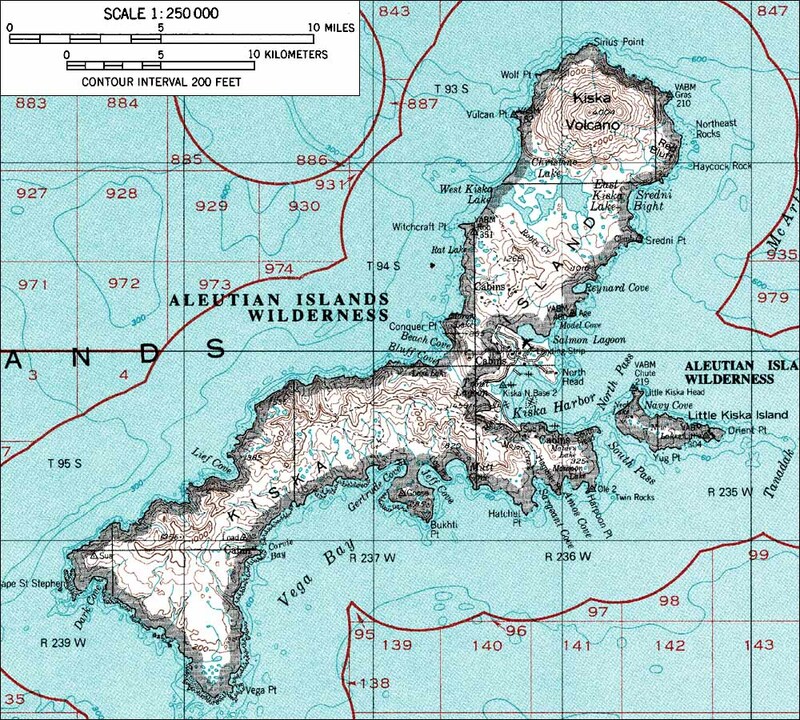 Kiska Island is part of the Alaska Maritime National Wildlife Refuge and is home to many large colonies of protected seabirds and marine mammals. 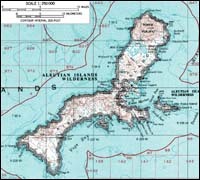 The remoteness of Kiska makes access difficult, since it is about 250 miles (400 km) west of the nearest settlement, Adak. The only likely option is to use a privately owned or chartered boat, as the condition of the small landing strip is unknown.